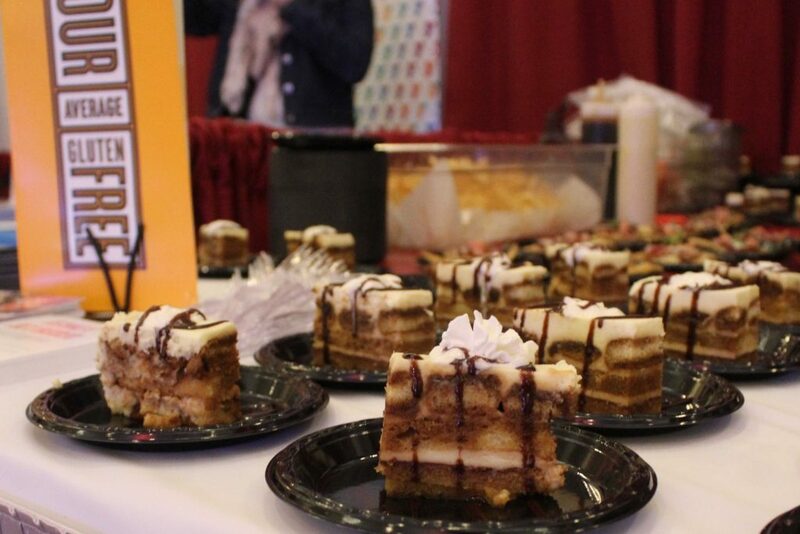 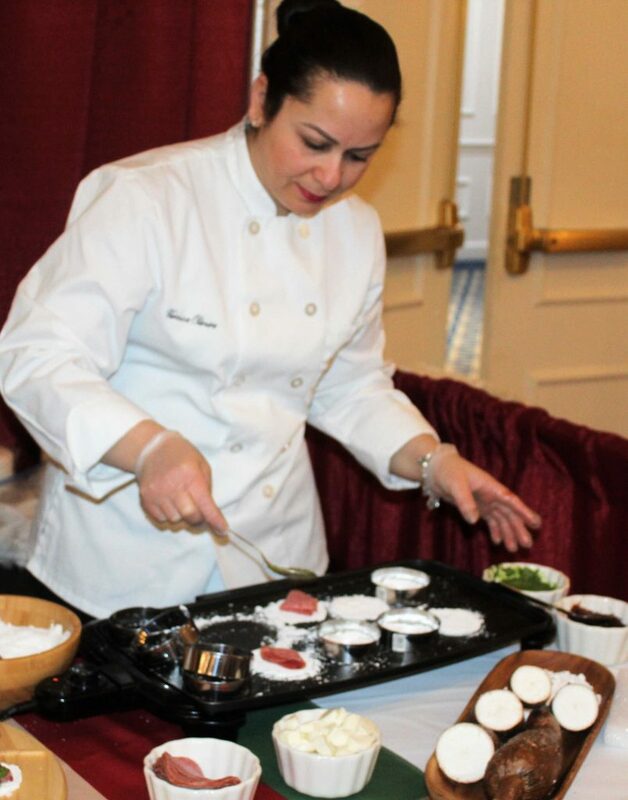 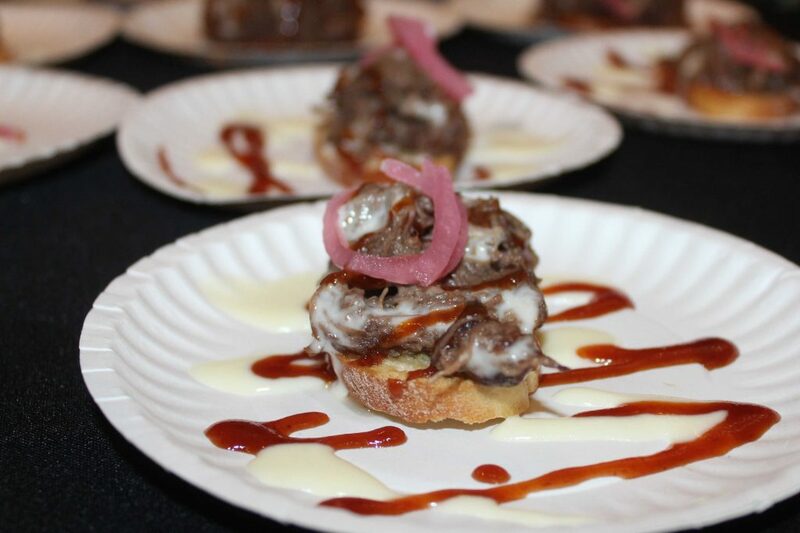 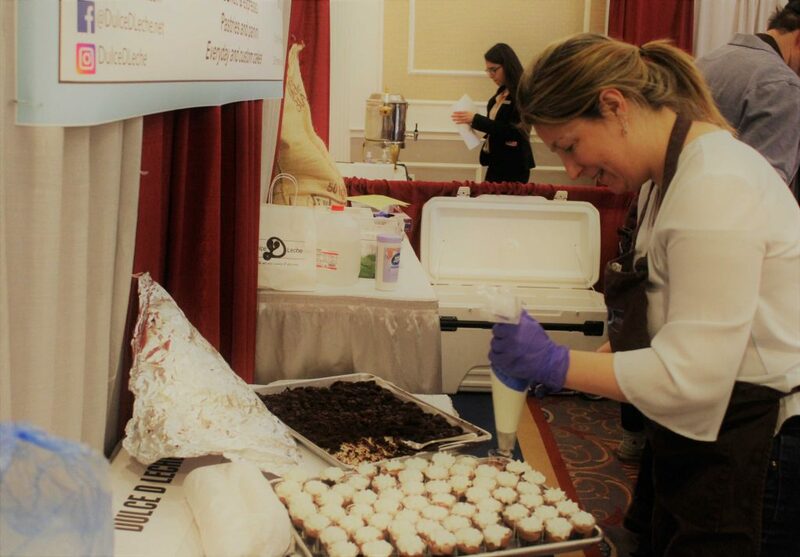 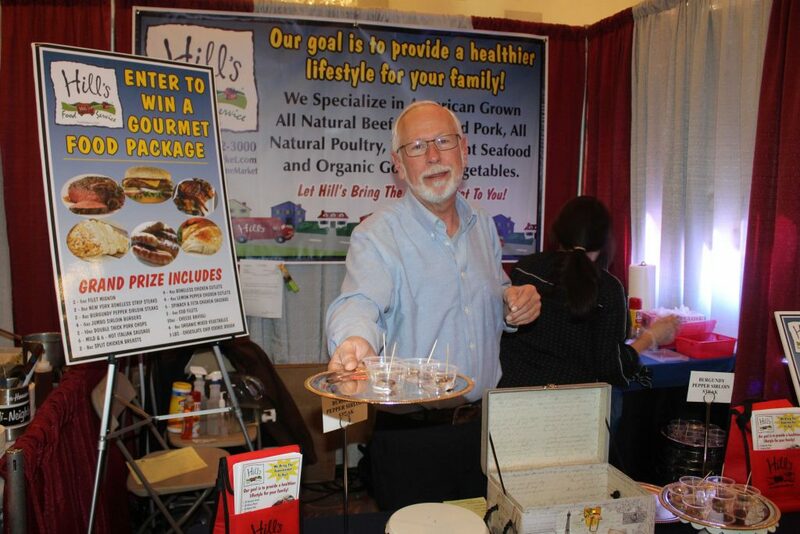 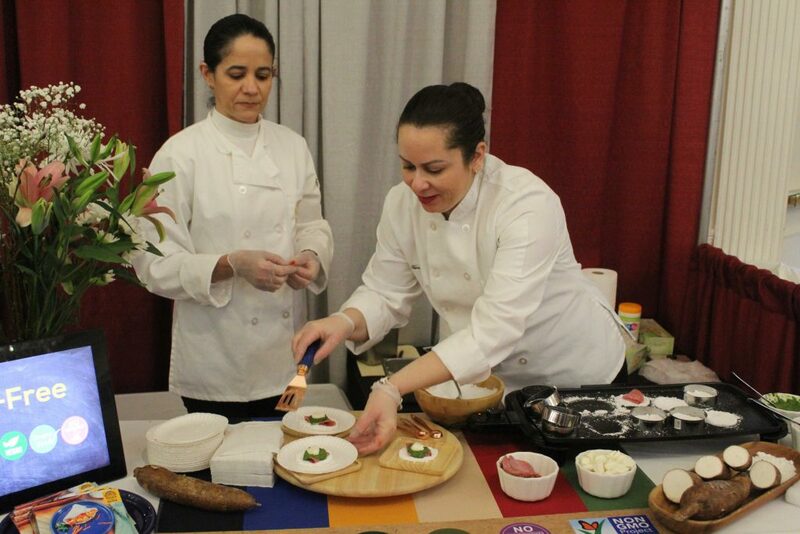 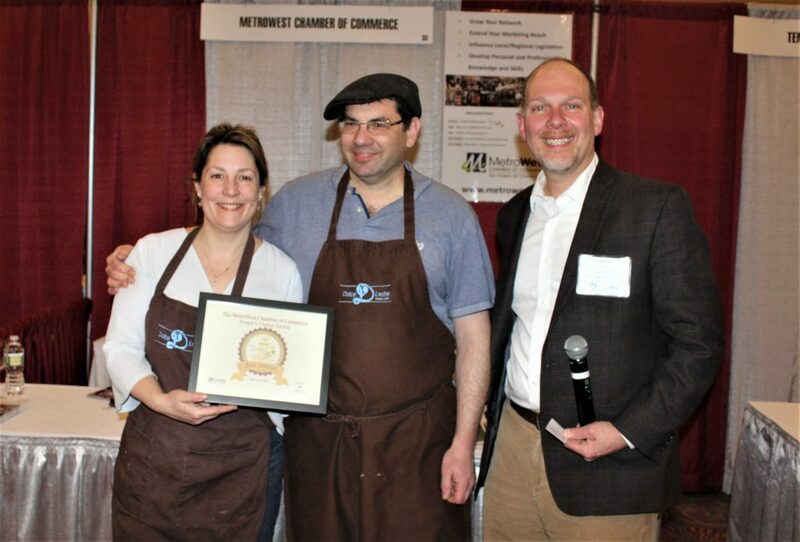 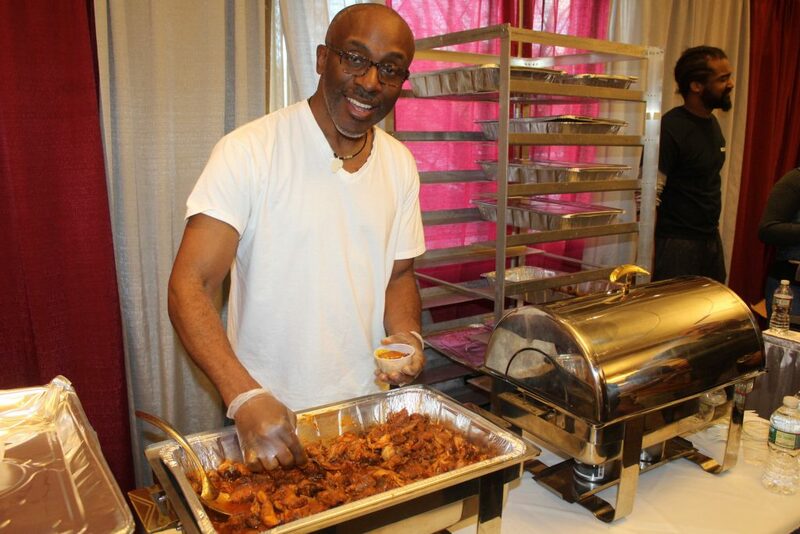 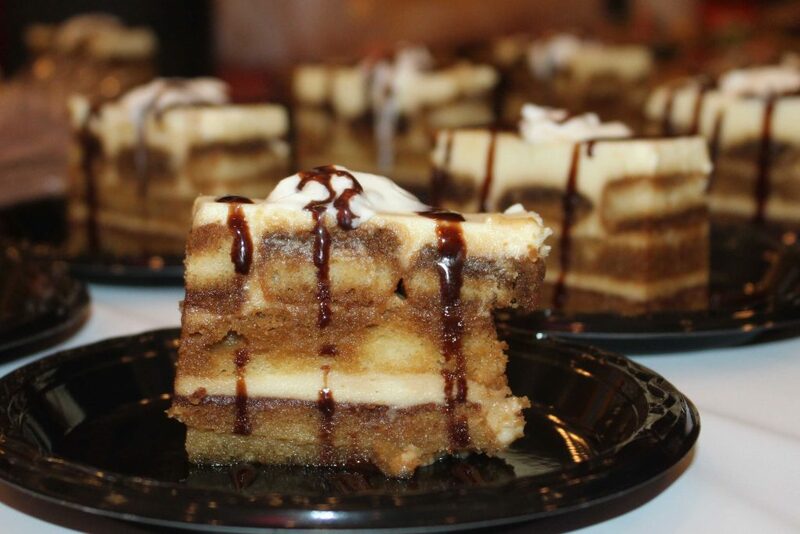 FRAMINGHAM – For the third year in a row Dulce D Leche in Framingham was the winner of best dessert at the 9th Annual Taste of MetroWest at the Sheraton Hotel and Conference Center on Tuesday night. 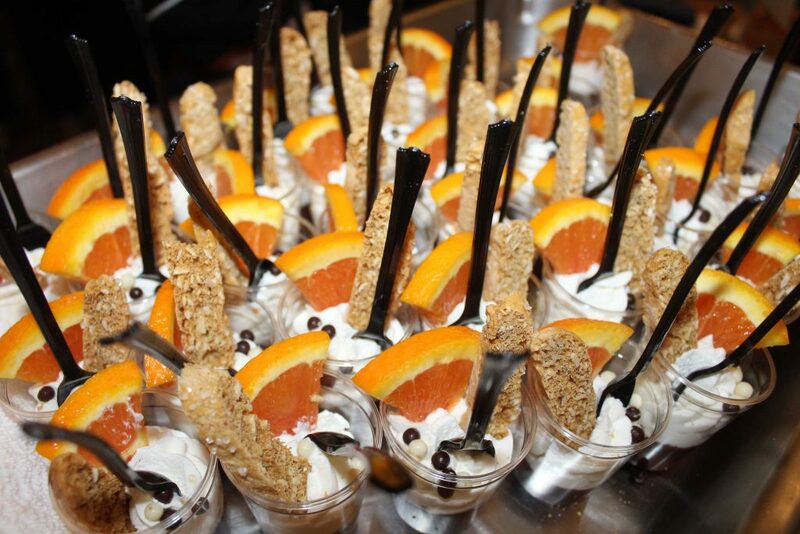 Dana Reynolds told SOURCE she was a fan of the short rib risotto from 110 Grill and the tres leches dessert from Dulce D Leche. 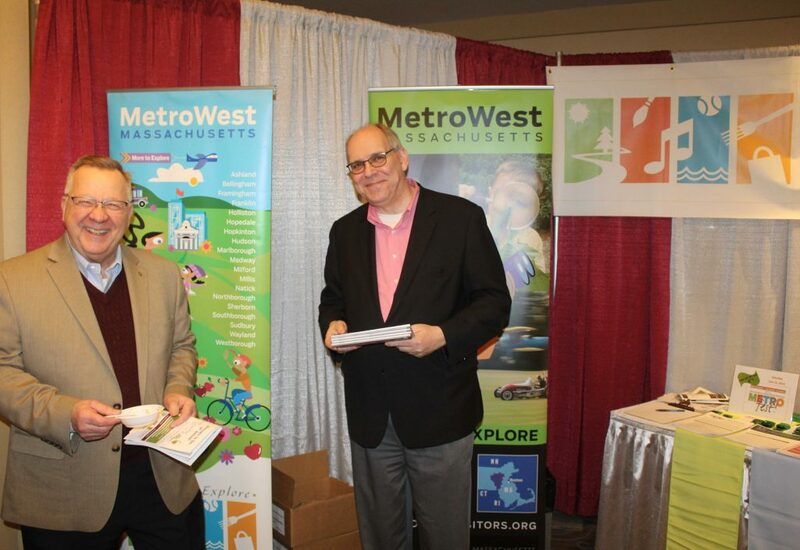 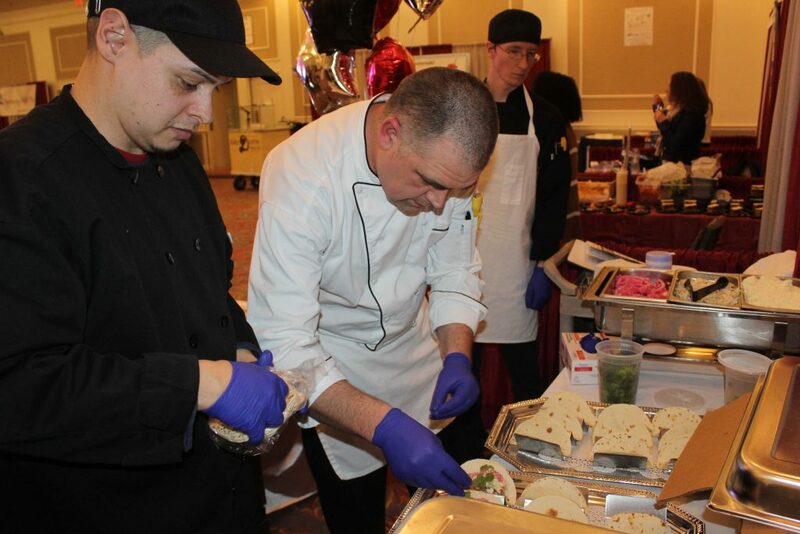 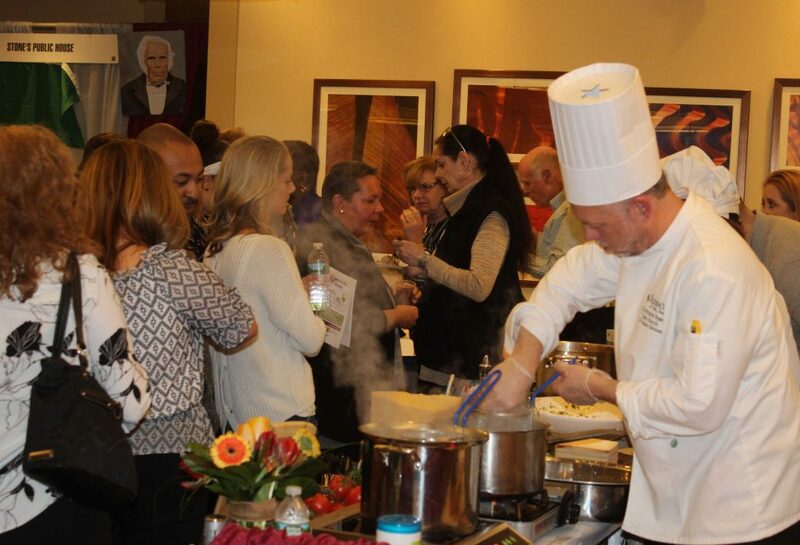 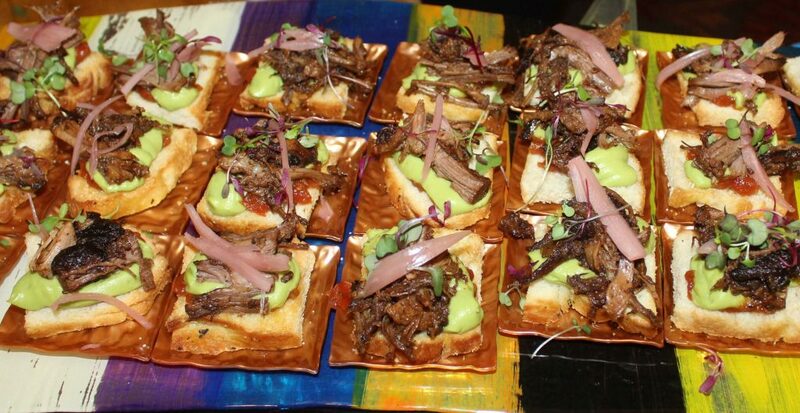 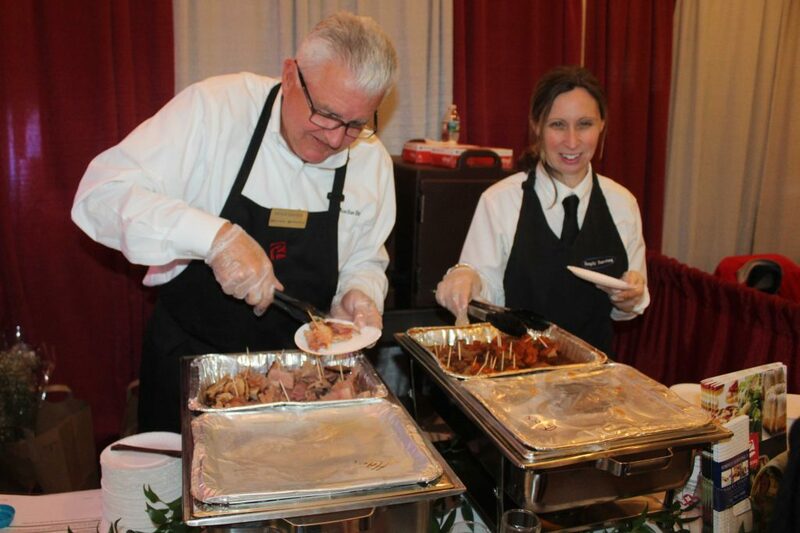 The event presented by the MetroWest Chamber of Commerce drew hundreds to hotel to taste appetizers, entrees, desserts and a few cocktails. 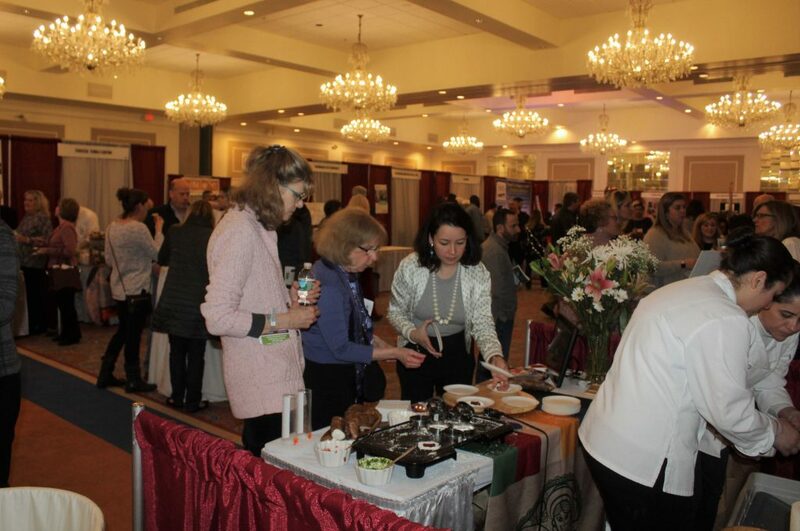 Attendees then voted to award prizes to the best appetizer, entree, dessert,d rink, and best overall display. 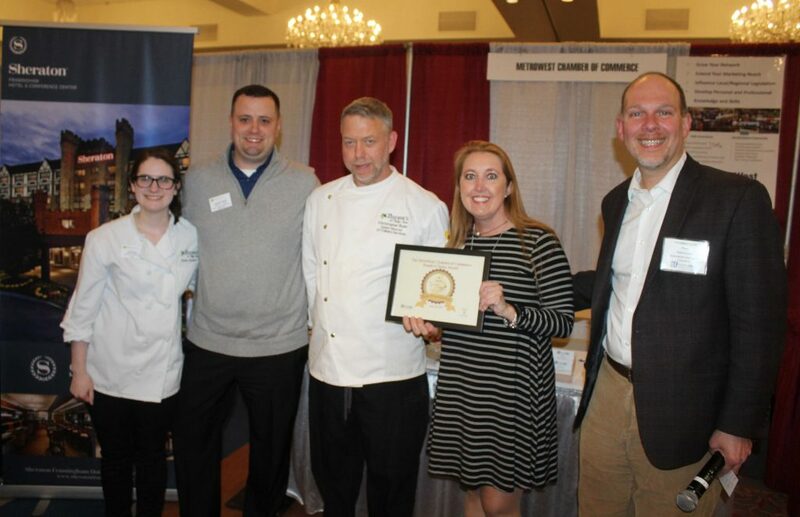 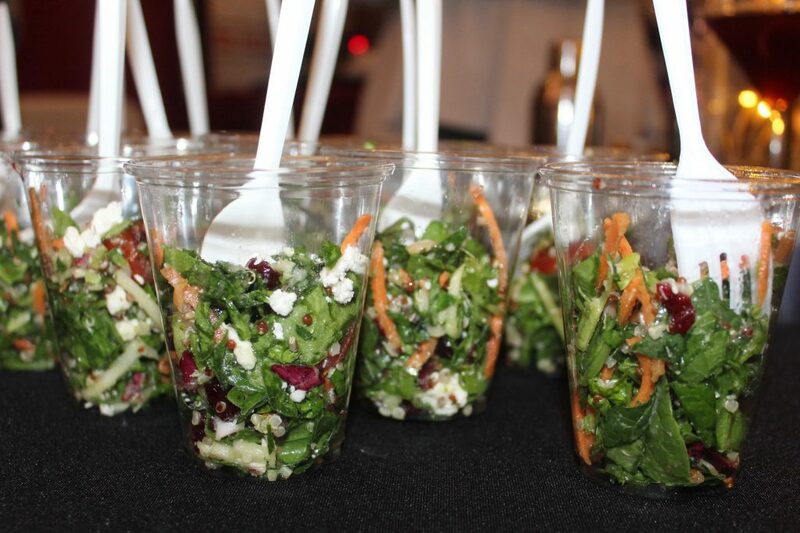 The Verve Crowne Plaza in Natick was a repeat winner again taking home attendees prize for best appetizer. 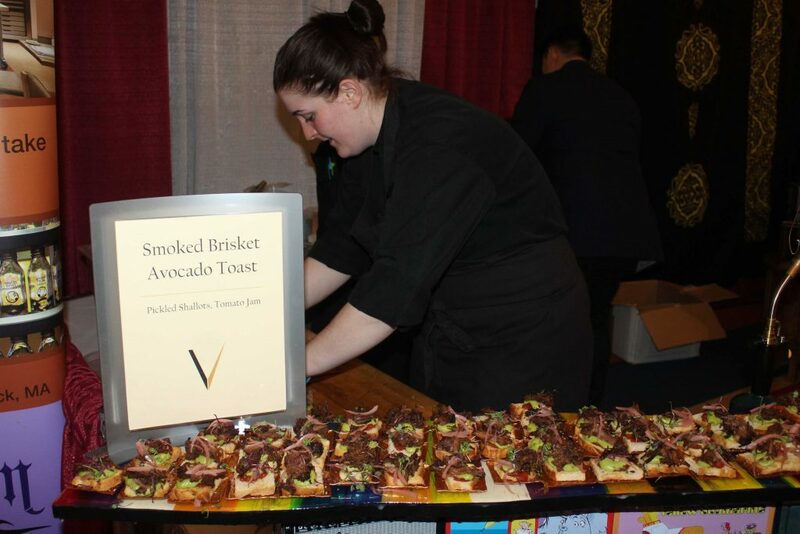 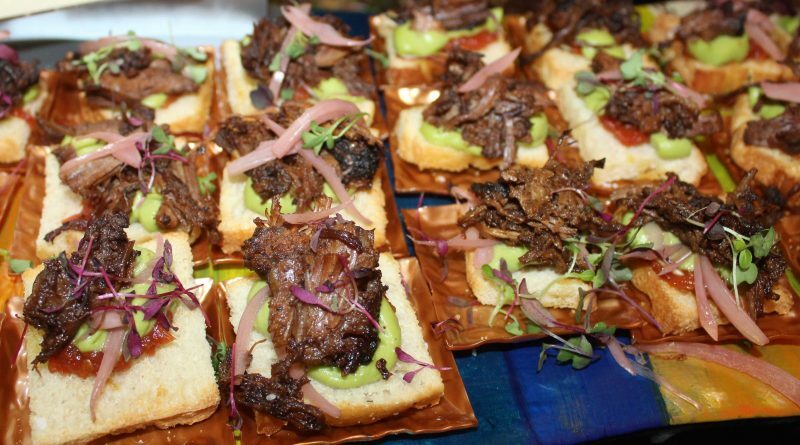 The winner was smoked brisket with avocado on toast. 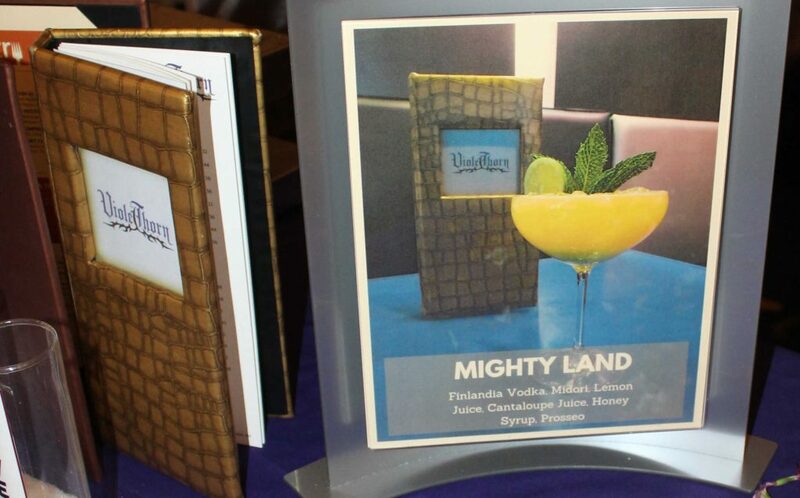 The Verve and its restaurant Pantry also were serving up a lemon meringue pie lollipops and a sweet cantaloupe cocktail made with vodka and Midori and cantaloupe juice called the Might land. 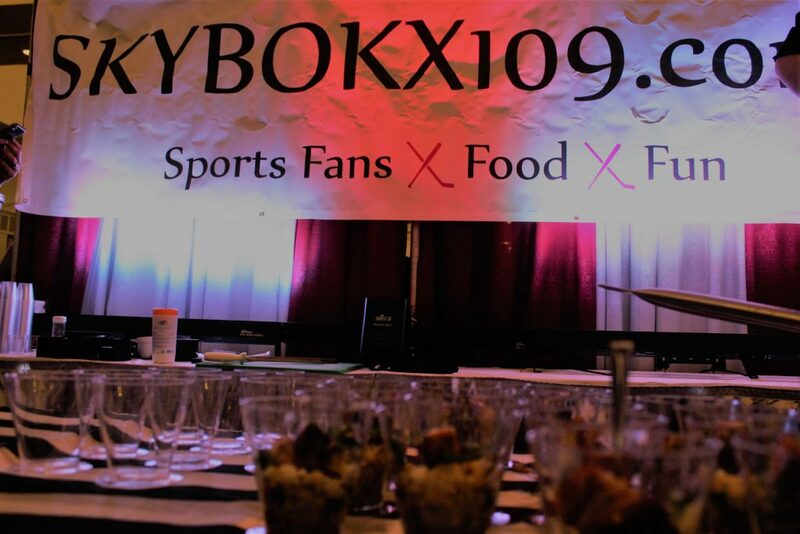 Skybokx 109 in Natick was serving up pork bellies with a delicious risotto and a delicious Cherry Lemon Drop cocktail made with cherry vodka, Limoncello, and cherry juice. 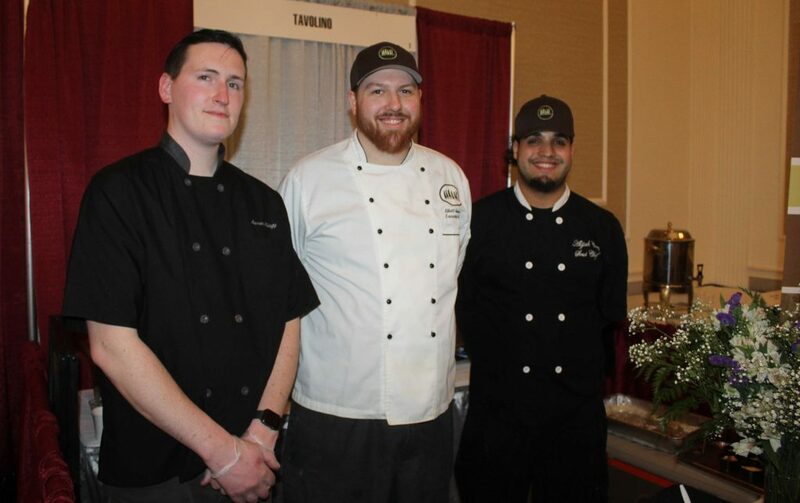 The newest restaurant to MetroWest, Burtons Bar & Grill, which opened on Route 9 in Framingham on Monday, was represented by its Shrewsbury location. 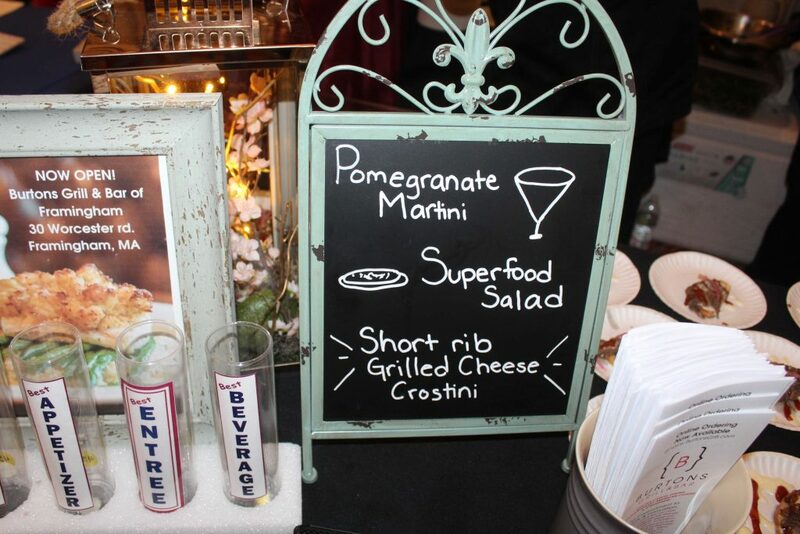 It was serving a pomegranate martini, a super food salad, and an absolutely delicious short rib grilled cheese crostini. 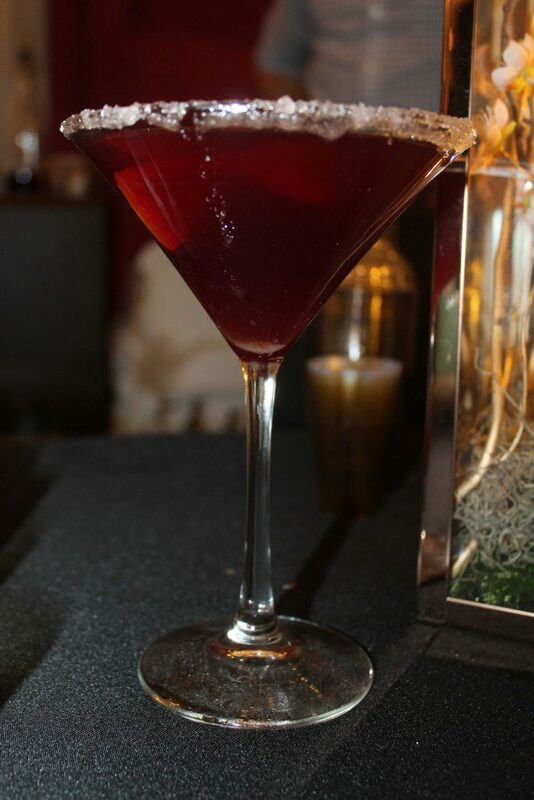 Coach Grill won the award for best drink with its sangria. 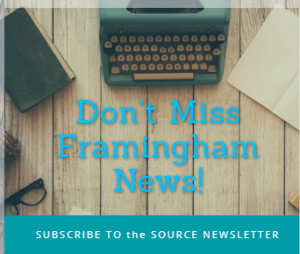 “Seriously good sangria,” said Andrea Levin Geller of Framingham to SOURCE. 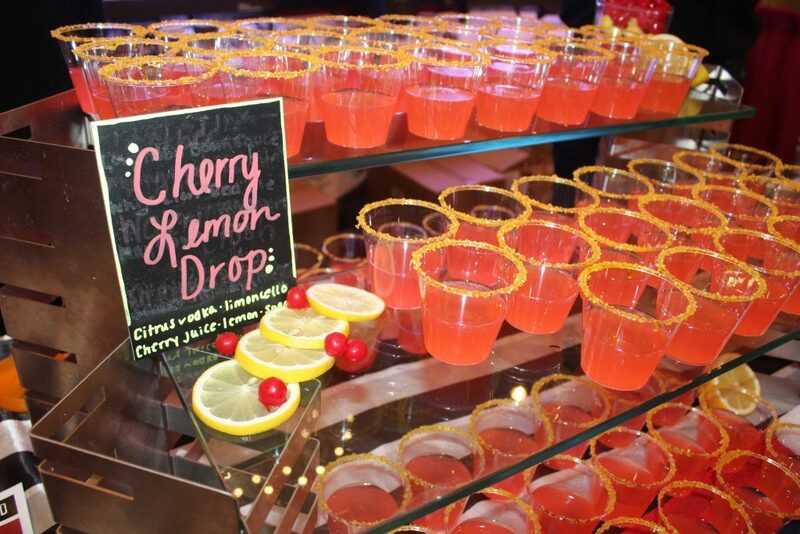 It was clear why the sangria was a favorite. 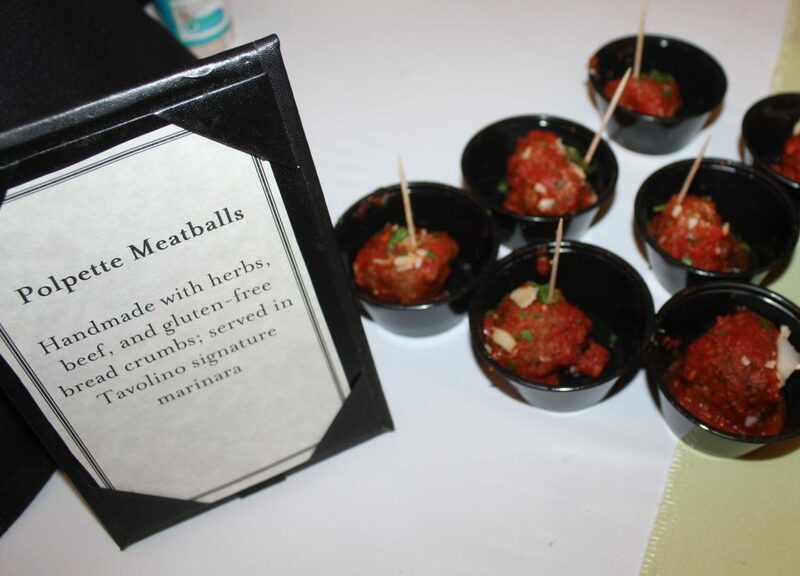 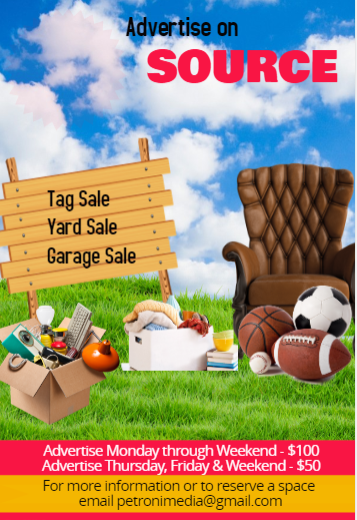 Several SOURCE readers including Siobhan Costello Brooks and Karen Gerard McCullough cited it as the best think they had at the event. 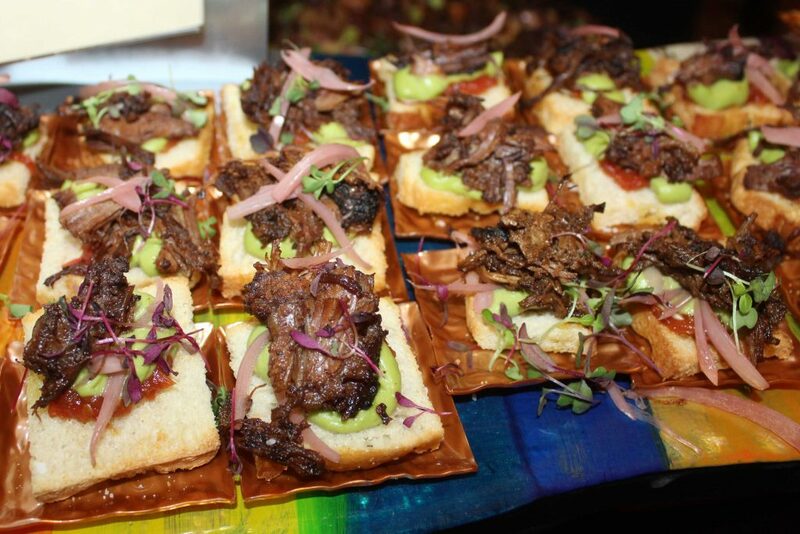 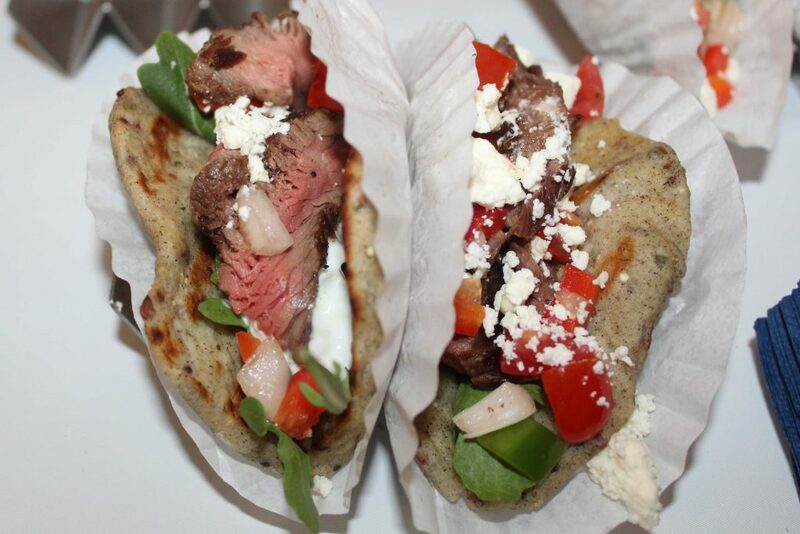 “I loved the watermelon radish taco from Coach Grill and the smoked brisket avocado toast from Verve Crowne Plaza,” said Ariana Abelow. 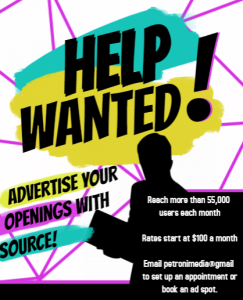 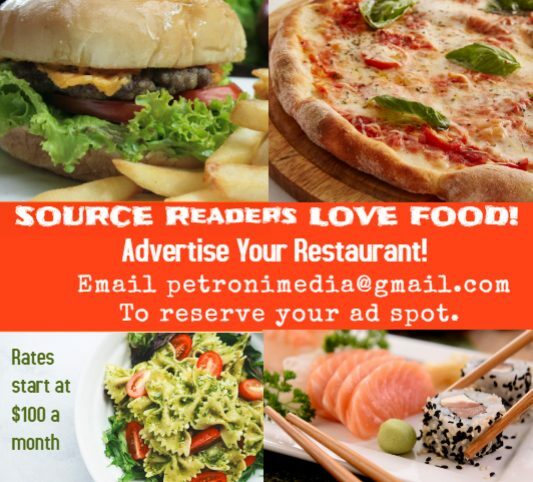 “We had an awesome time, thanks for giving me the chance to go,” said one of the ticket giveaway winners from SOURCE and Petroni Media Company. 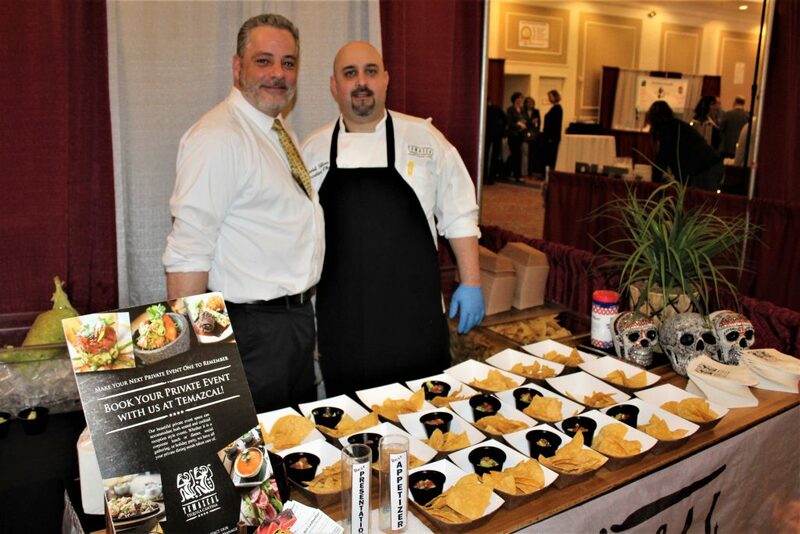 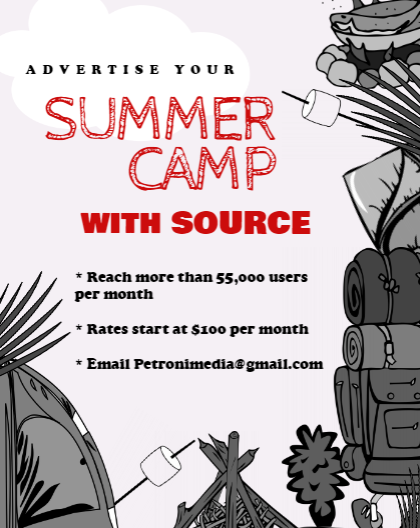 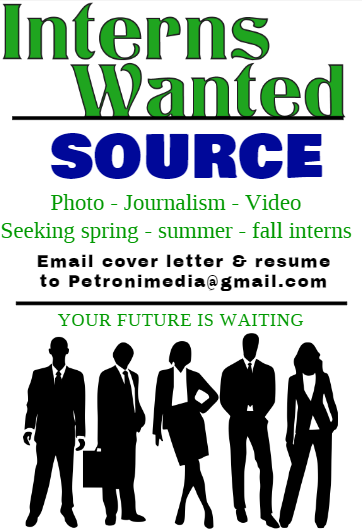 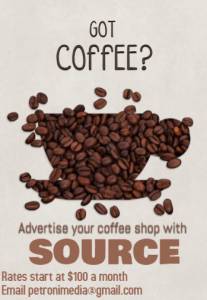 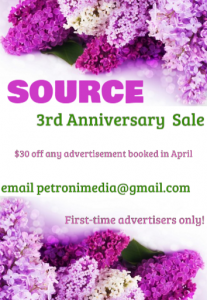 SOURCE/Petroni Media Company partnered with the Chamber to give away five pairs of tickets to the culinary event. 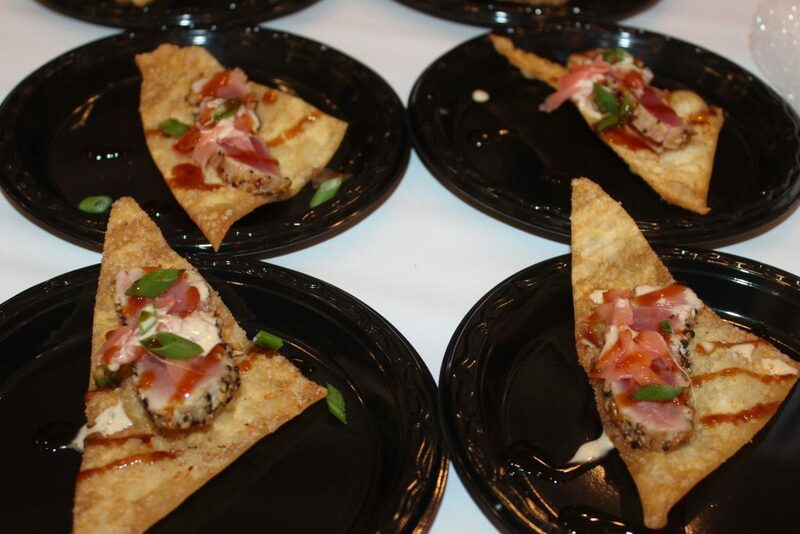 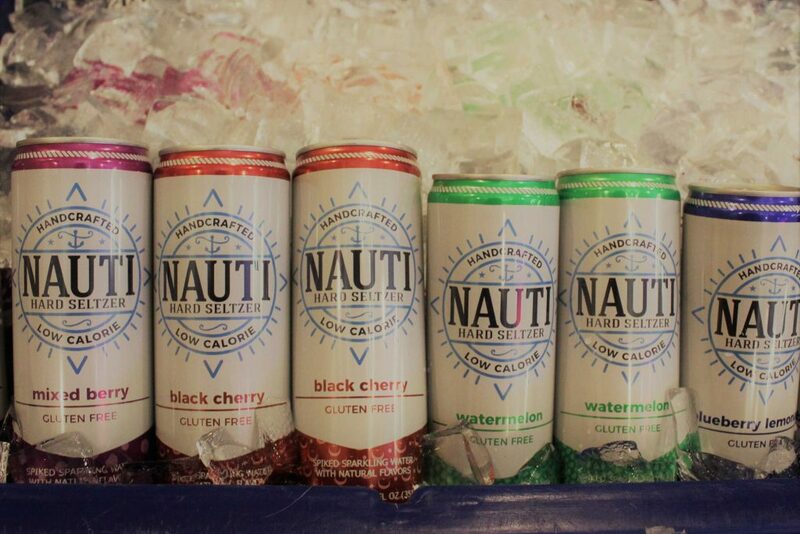 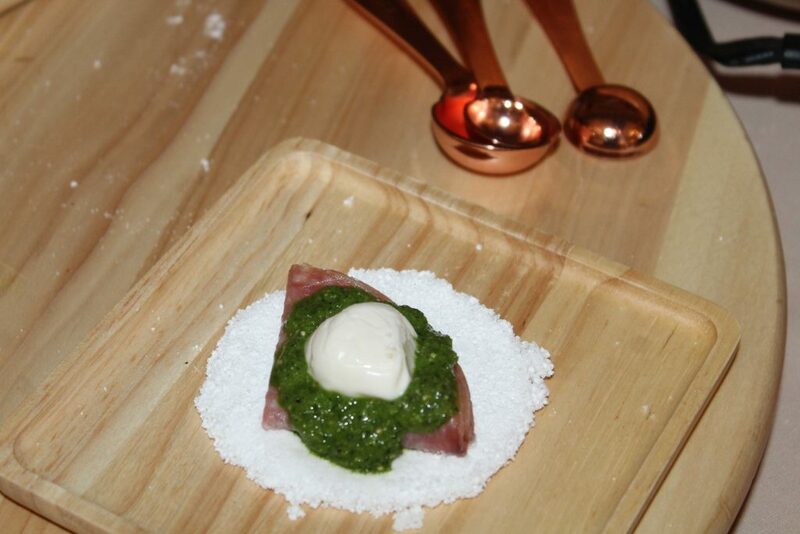 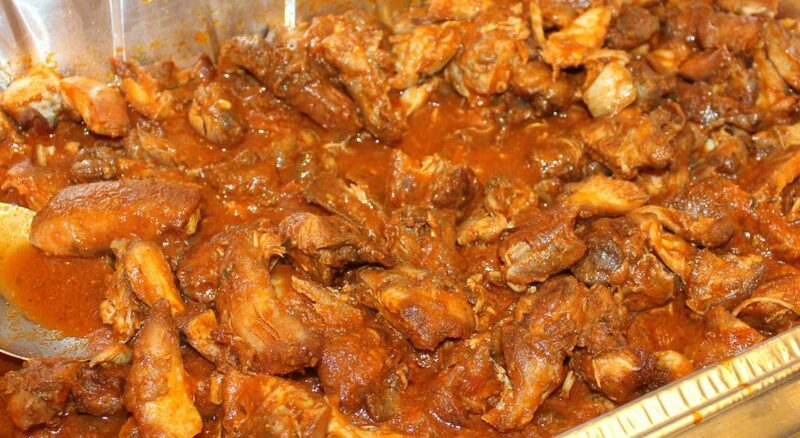 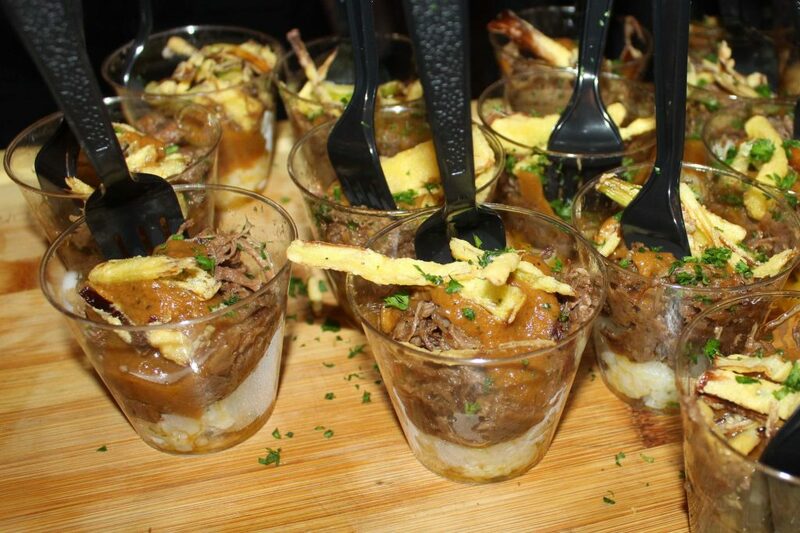 Besides all the mouth-watering food, there was plenty to drink too at the event. 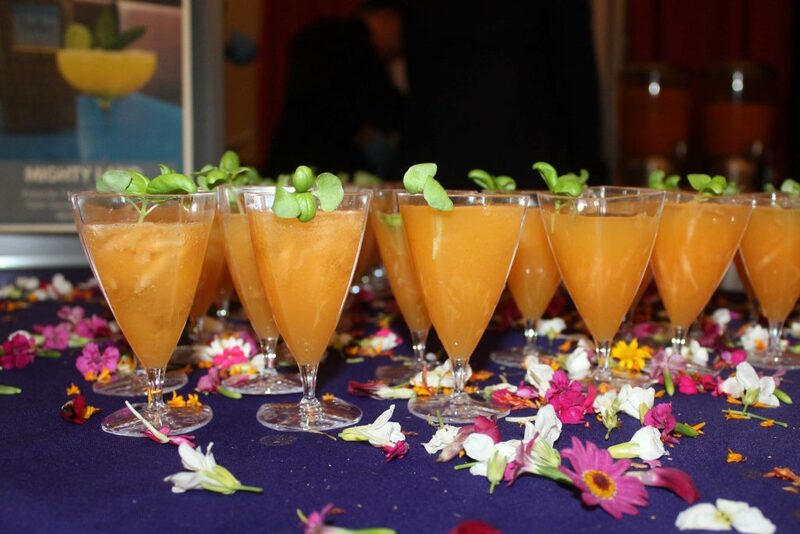 Stone’s Public House was offering guests a lavender margarita. 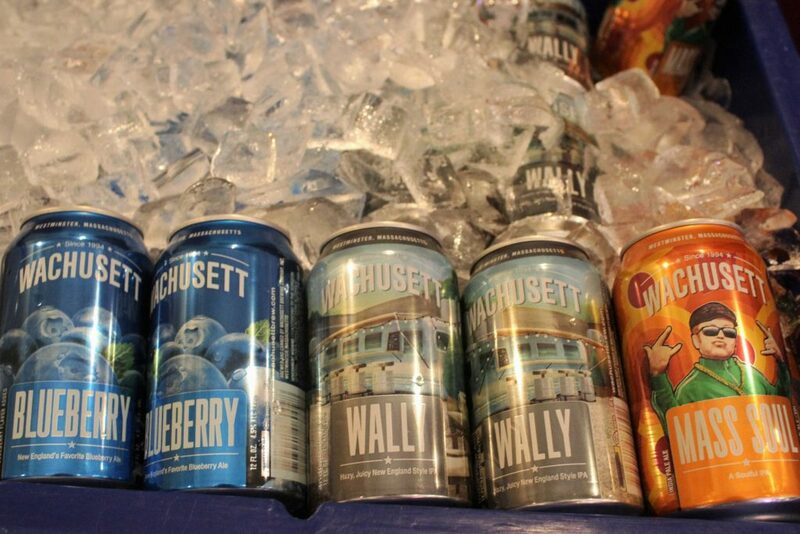 There was craft beer offerings from Framingham’s Exhibit A Brewing and Springdale by Jack’s Abby along with hard seltzers and brews from Wachusett Brewing Company. 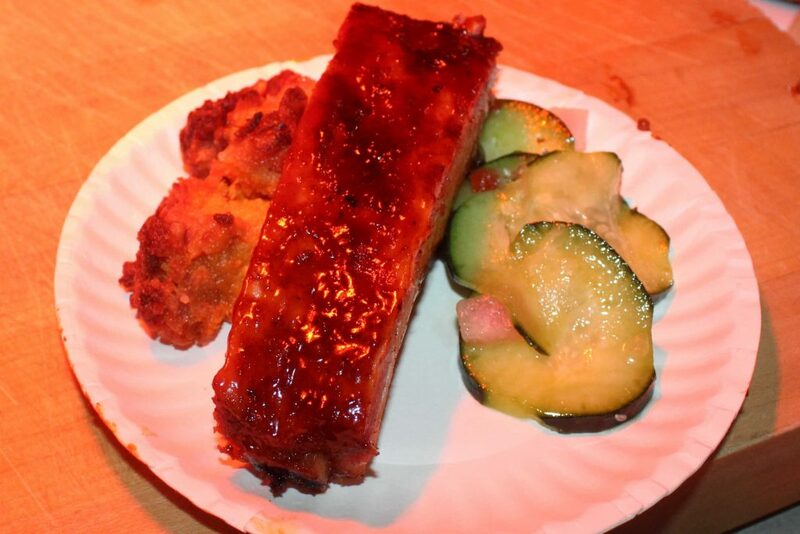 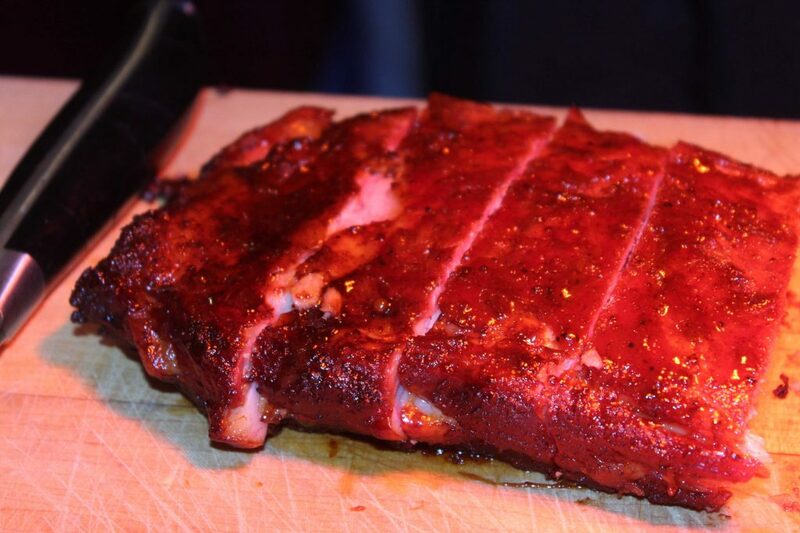 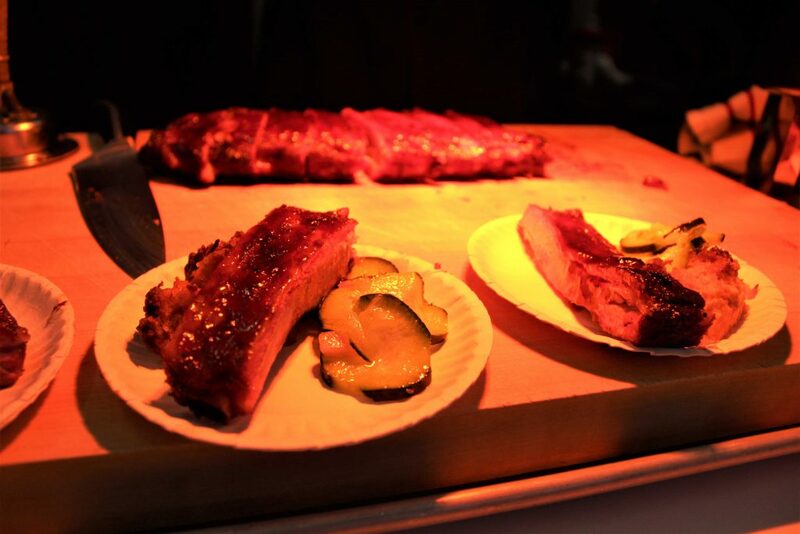 For best entree the winner was Firefly’s in Marlborough for its St. Louis Ribs. 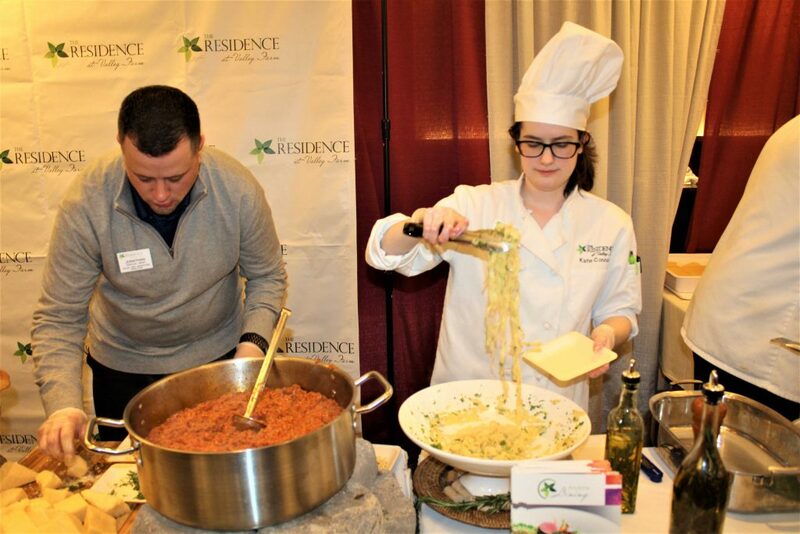 The winner of best display went to The Residence at Valley Farm in Ashland which was cooking up a scrumptious homemade pasta. 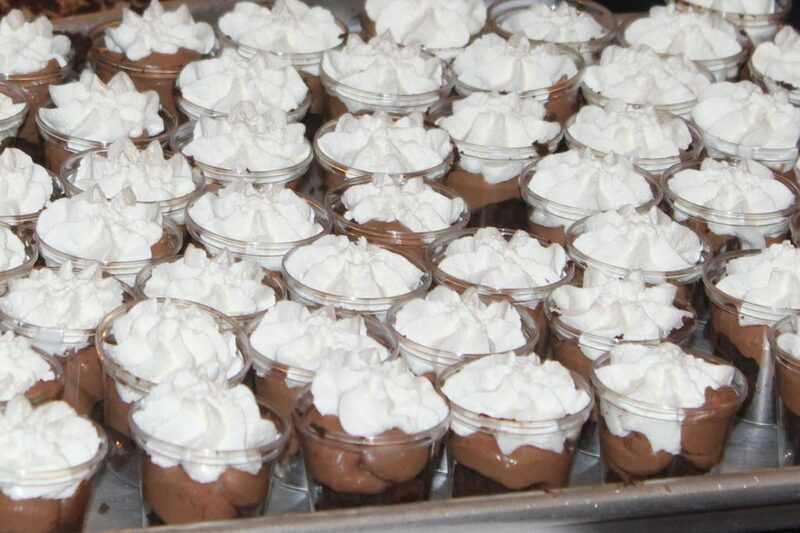 Students from Keefe Technical School’s culinary department served up steak gypos and a chocolate budino for visitors to their booth. 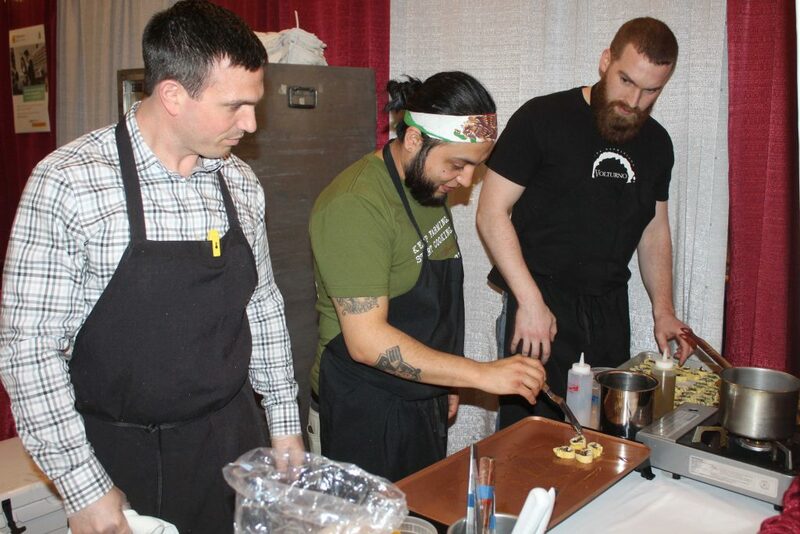 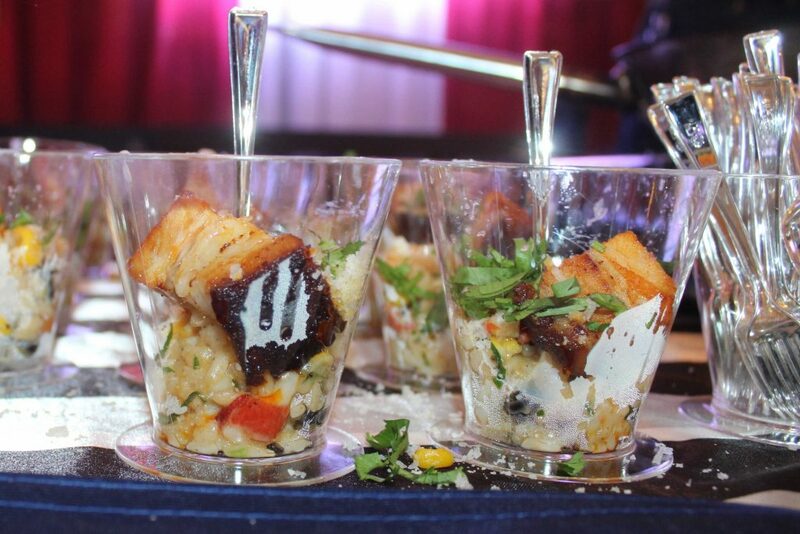 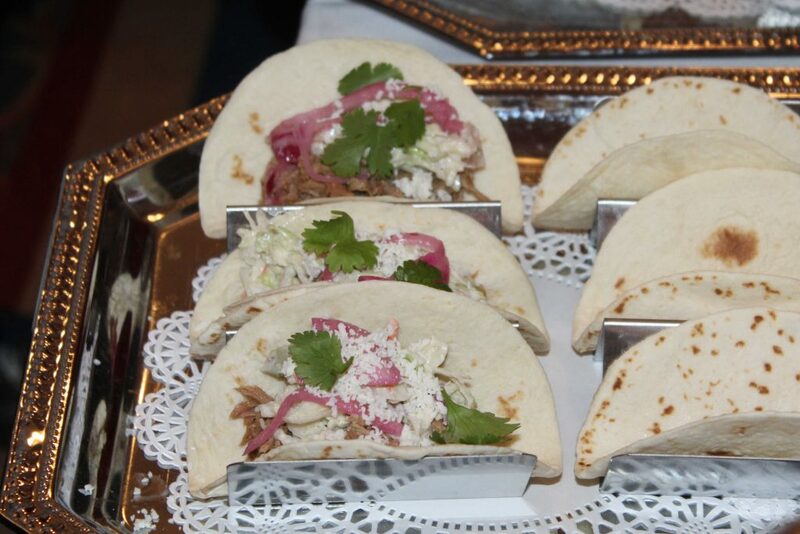 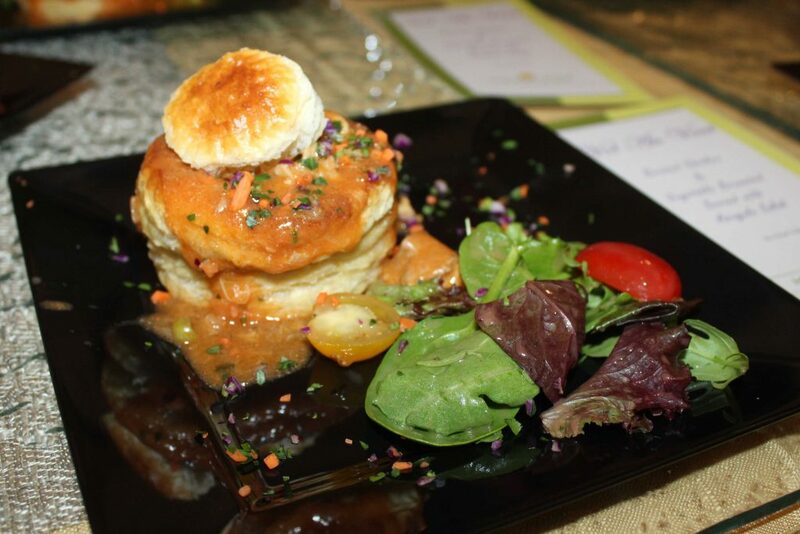 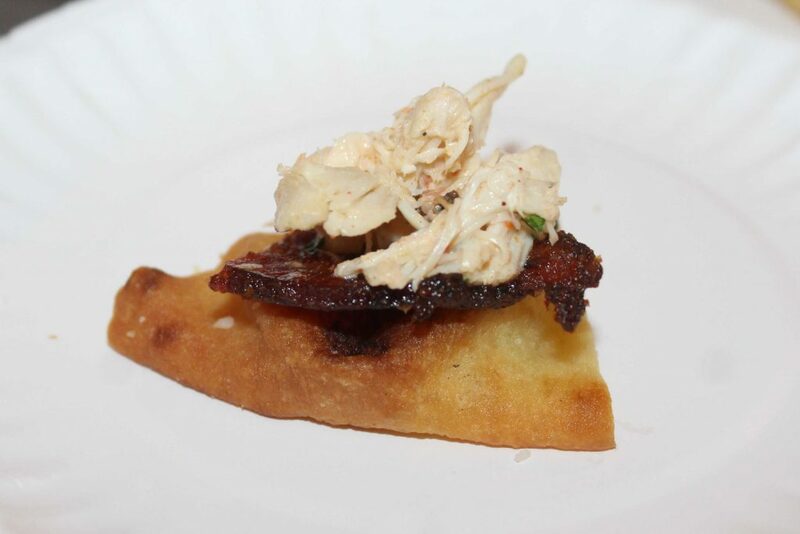 The Postern Grille from the Sheraton Hotel and Conference Center was serving candied bacon with crab on a baked pita, along with mac ‘n cheese cups. 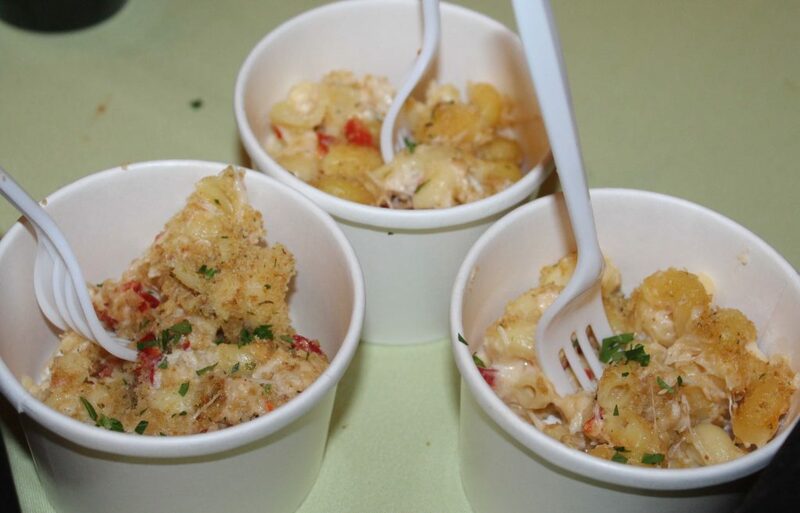 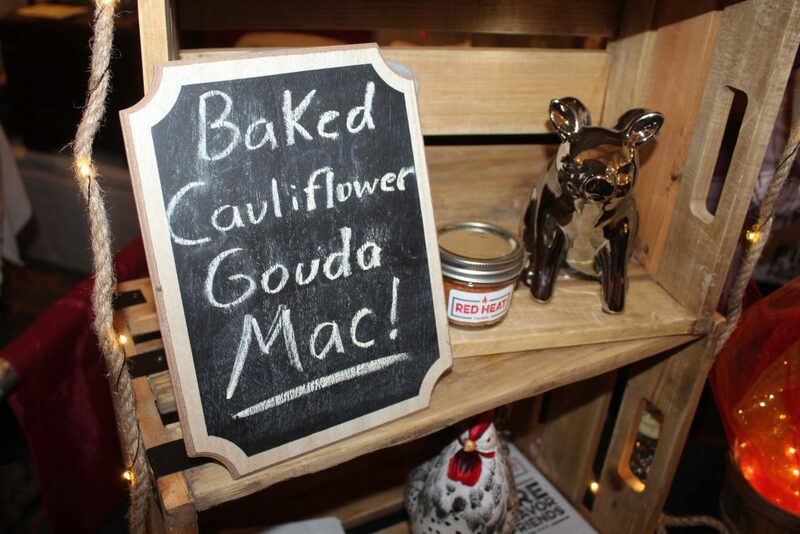 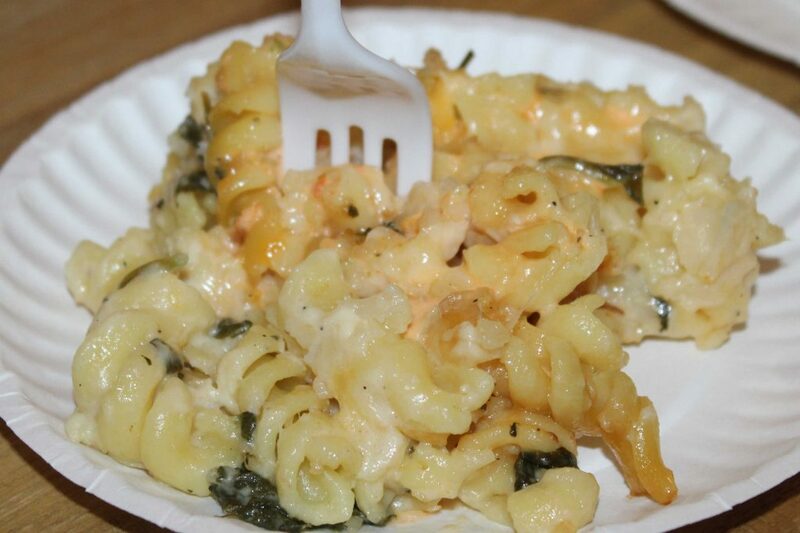 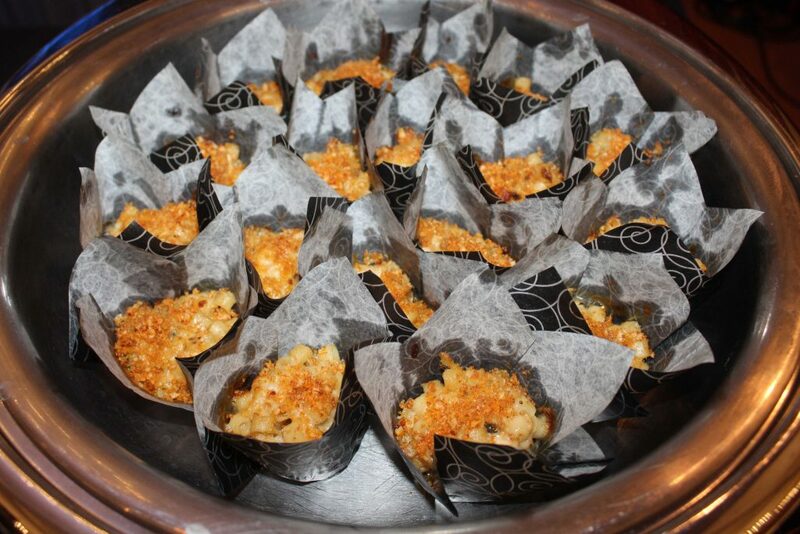 Macaroni and cheese was a popular offering at the event, with Red Tavern offered a a creamy and delicious baker cauliflower and Gouda mac and cheese. 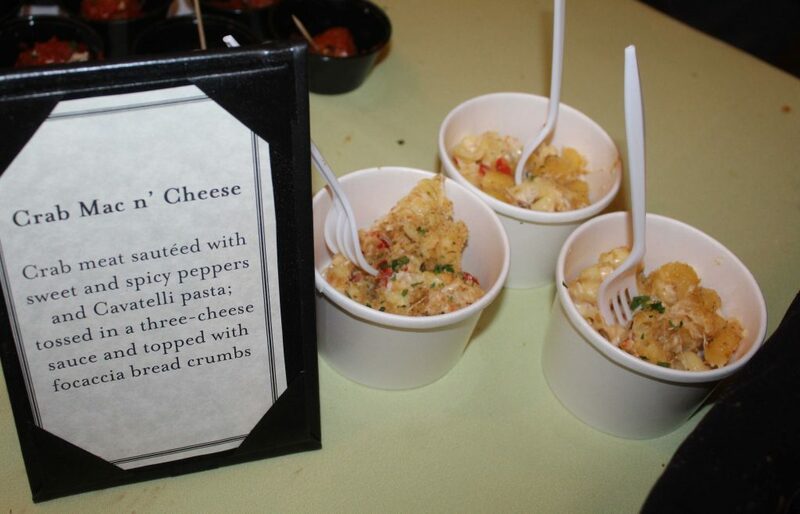 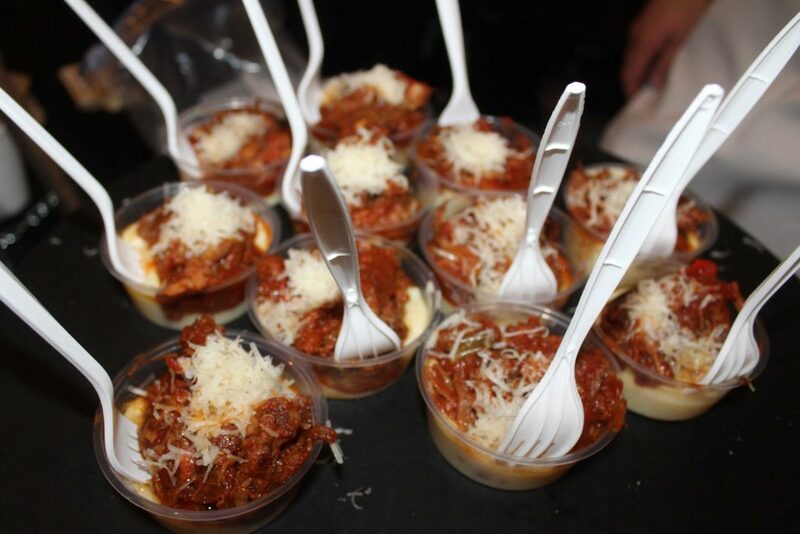 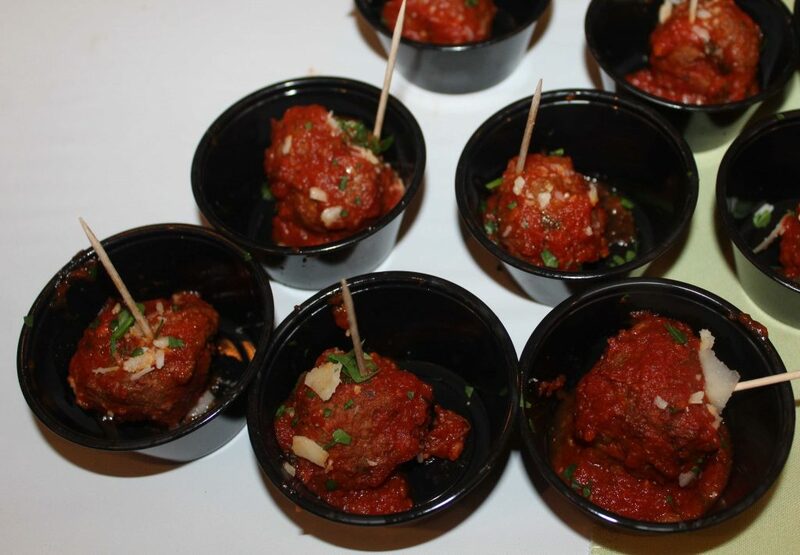 Tavolini served a crab mac and cheese to visitors along with handmade meatballs. 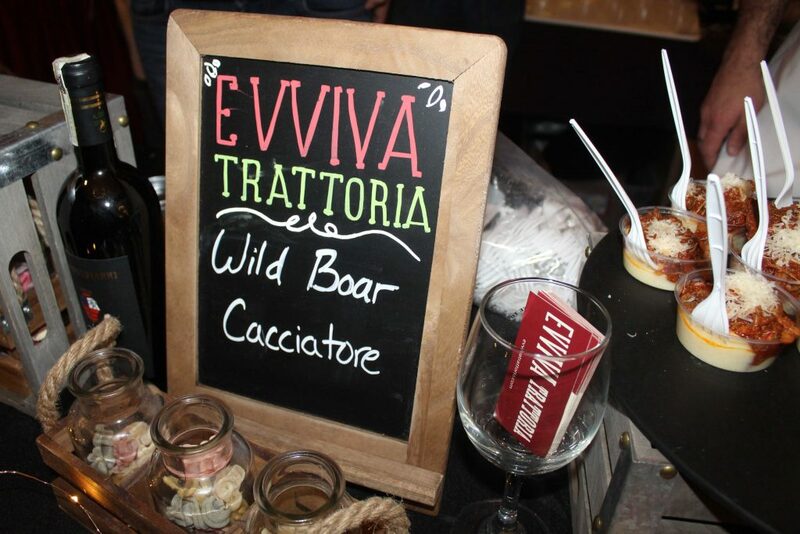 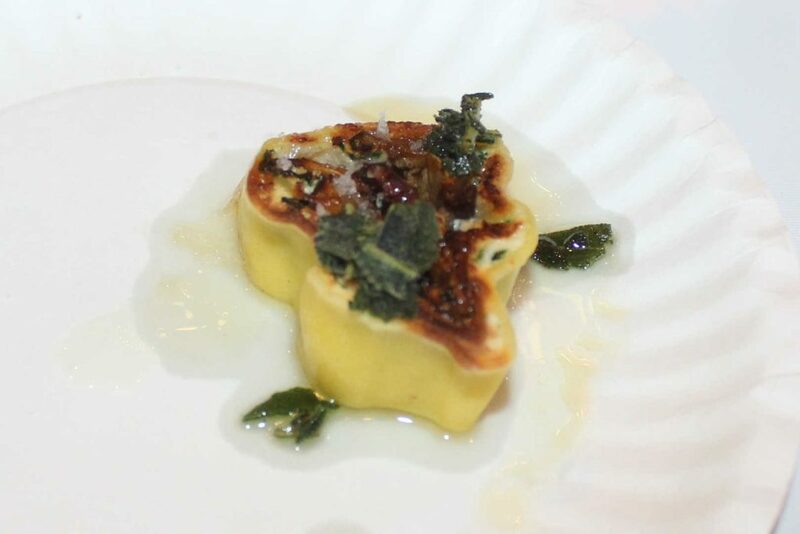 Attendees had lots of variety to taste from a wild boar cacciatorie at Marlborough’s Eviva Trattoria to a mushroom lasagna roll from Volturno’s in Framingham. 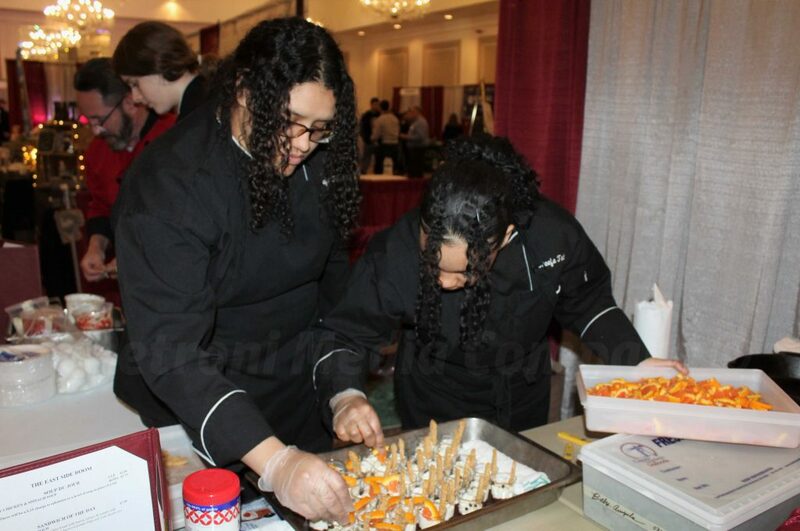 Deidra MacLeod-Richardson of Framingham told SOURCE her “favorite discovery of the night was Indian ice cream from Scoops ‘n Bites in Westborough.